It truly is tedious, painstaking work, as he must tease a corner of the tape free and then pull it up and off and towards the seam he is freeing. Pulling it laterally away from the seam risks raising little tails of Sikaflex that can flop over onto the varnish. 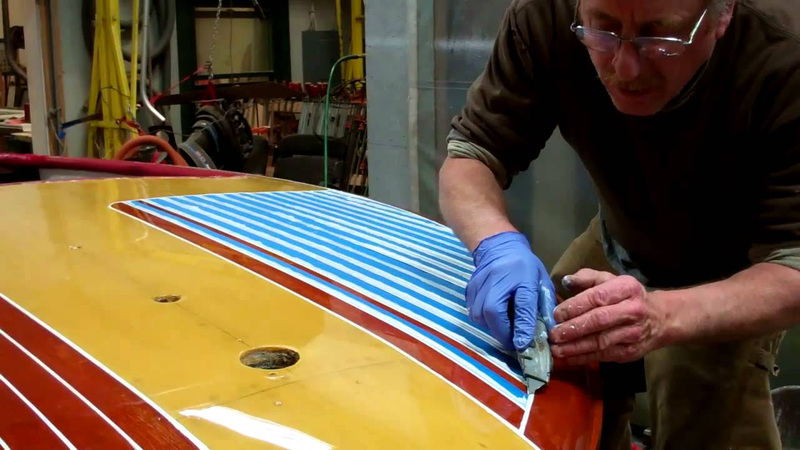 As, save for the pint room which we keep between 65 and 70, the shop stays at about only 60 F in the winter, which slows cure times, so the Riviera will sit until next Monday when RJ will apply white paint to the seams using his pin striping wheel applicator.